1. Preheat the oven to 400 FH . Cut the breads in halves . 3. 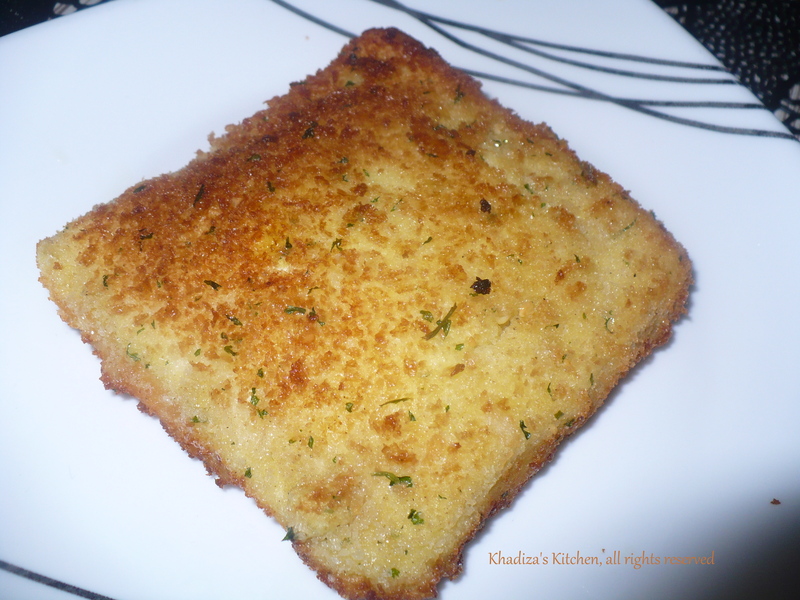 Rub some grated garlic over the bread . 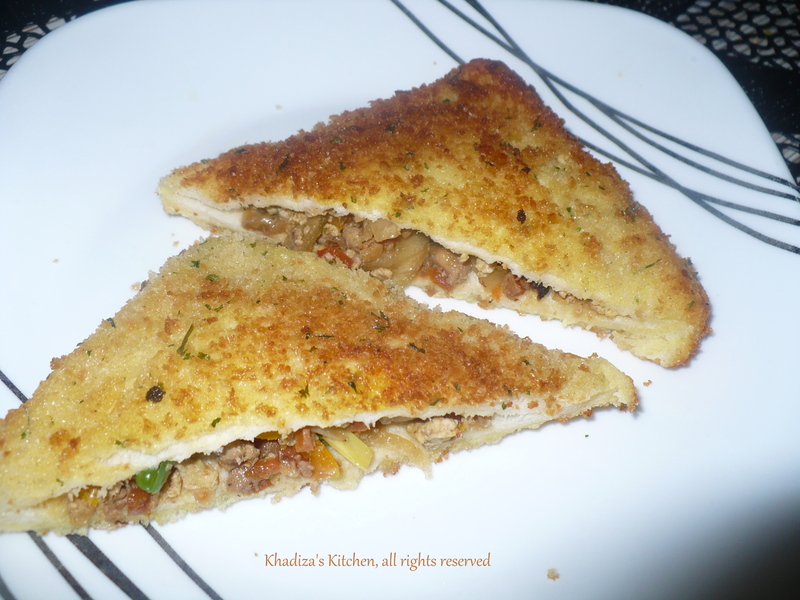 4. spread grated cheese over the bread . Arrange sliced bell pepper . Sprinkle some seasoning . 5. Bake until toasted , around 15 minutes . Time may vary depending on the temperature. Many of us love pull apart buns . Who doesn’t ? That soft , tender inside with golden buttery crust !!! But here you go with my stuffed pull apart bun , the recipe being my own . Really loved the filling with spinach, potato and cheese complimenting the super soft buns , making it super exotic !! Heat butter and fry the chopped onin and garlic for a minute . Add the chopped spinach . Don’t add any extra water . The leaves will release water . Add little salt . When the water is almost dried out add the mashed potato . Stir and then add the cottage cheese . When cool , mix the cream cheese with it . 1. Mix all the ingredients for bun except oil . Be careful while adding luke warm milk and water . If you use too hot water the yeast might get killed , and if you use room temperature or cold water, the yeast won’t wake up !!!!!! In both case the dough will not rise and everything will go in vain . So always use luke warm water in any recipe where you have yeast as an ingredient. Make a soft dough . If you make the dough hard , the bun will be hard , so make it a soft dough . 2. Knead well . The dough will be very sticky . Now add the oil and form the dough into a round ball . Now it’s easier to work with the dough. Knead very well . The more you knead, the softer bun you get . Knead at least 8-10 minutes .Put the dough into a closed lid box and place it in a warm place . It may take an hour or more to get the dough double in volume . If it becomes fluffy and double in volume , the dough is ready to make the bun. Sometimes it may get longer time to rise . Sometimes it takes almost 2 and half hour to rise up and to be fluffy . So don’t do anything until it rise up in volume and becomes fluffy . 3. Punch down all the air form the dough . Now Make balls from the dough . Flatten the ball and put some filling into it. Reshape the ball . Make all the buns like this . All of them should be of same size . 4. Grease a springform or any other pan . and place the balls closely to each other . Cover with a wet cloth for 20 minutes and let it rise again a bit . In the mean time pre-heat your oven to 400 FH or 200 Centigrade. 5. Brush with egg and sprinkle some sesame and nigella seed . Bake for not more than 20 minutes at 400 FH in a pre heated oven . If you bake for longer , the buns will be hard . 1. The softer is your dough , the softer is your bun . 2. Don’t over bake , as it may make your buns hard . 3. Use the ghee and oil both in making the dough . 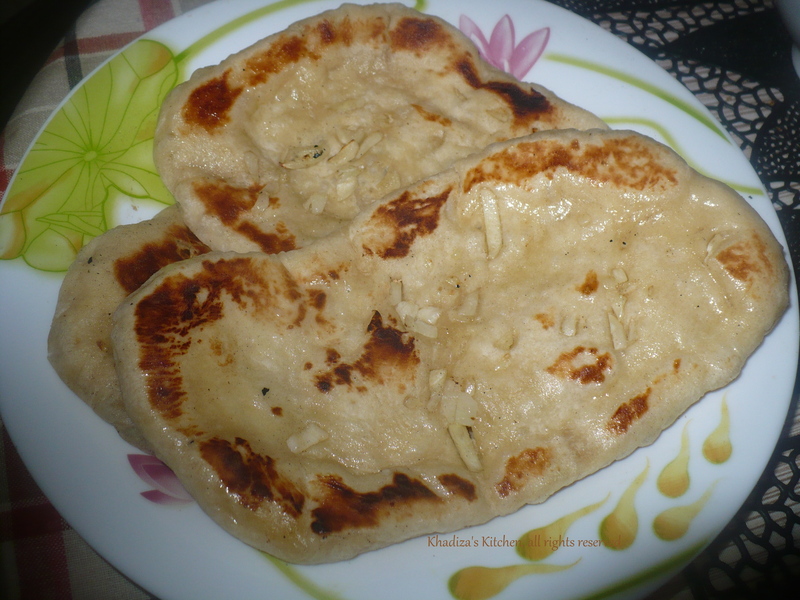 Warqi paratha is one of my favorite parathas . Soft inside but crisp outside . Though involves a bit hard work making it but trust me , it’s so worth making those melt in mouth parathas . I make warqi paratha in 3 different ways . The first method being the best and most authentic though involves little hard work and it will take little time too. 1. Make a medium soft dough with the ingredients mentioned above . Cover it with a wet cloth and let the dough rest for 30 minutes . 2. Make balls from the dough and roll the balls into small rotis or disks . Rub each rotis with the ghee-flour mixture. 3. Stack the rotis together . The last roti should be put inward way , so that the ghee covered part is on inside . Join them together . Roll them into a big roti. 4. Now apply the ghee-flour mixture on the roti . Roll it like a swiss roll . Cut the roll into 3″ pieces . Flatten the pieces by pressing them upright . Now stack three or four of these flatten pieces together . Roll out the paratha . 5. Fry the parathas without ghee/oil first . Then heat some ghee ( you will need more than the quantity usually needed for frying parathas) and fry the parathas on medium low heat . Please be careful frying these , since they are kind of melt in mouth type , if not carefully handled , you may break the parathas . 1. Make the balls from the dough and roll them out into small rotis . Apply ghee-flour mixtue over each roti and stack them together . 3. Fry without ghee/oil first, then in good amount of ghee or oil . 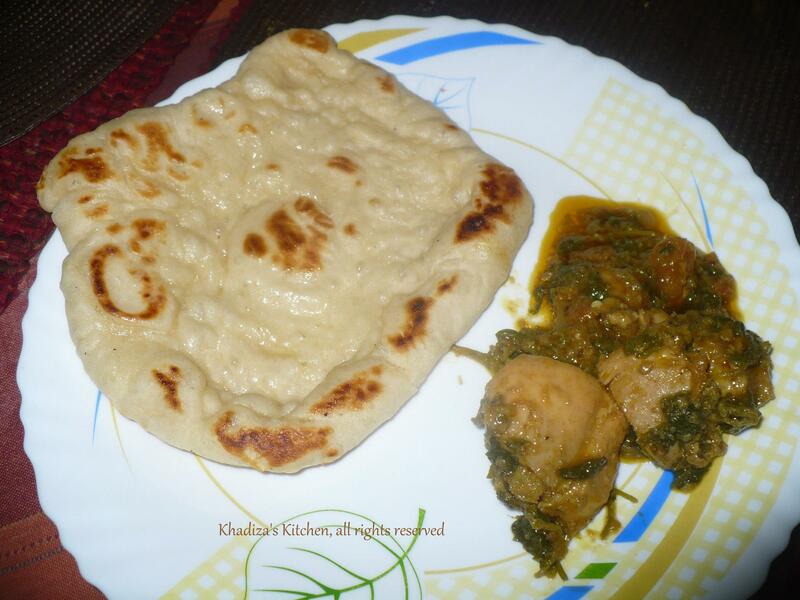 Enjoy Warqi paratha with korma , bhuna gosht and halwa !!! 1. Make a medium thick sugar syrup with half cup sugar and half cup water . Add some rose water in it . Let it cool . The syrup should not be runny or too much thick . It should be medium thick . To prevent crystallization , add few drops of lemon juice while cooking it . 2. Mix all the ingredients for bun and 1 tbl spoon butter except oil . Be careful while adding luke warm milk. If you use too hot water the yeast might get killed , and if you use room temperature or cold water, the yeast won’t wake up !!!!!! In both case the dough will not rise and everything will go in vain . So always use luke warm water in any recipe where you have yeast as an ingredient. 3. Knead well . The dough will be very sticky . Now add the oil and form the dough into a round ball . Now it’s easier to work with the dough. Knead very well . The more you knead, the softer bun you get . Knead at least 8-10 minutes . Put the dough into a closed lid box and place it in a warm place . It may take an hour or more to get the dough double in volume . If it becomes fluffy and double in volume , the dough is ready to make the bun. 4. Punch down all the air form the dough . Now Make two big balls from the dough . Flatten the ball and put some candied fruits and raisins into it. Reshape the ball . Add some morobba/ candied fruits and raisins on the top of the ball too . 5. Cover them with a cling film , plastic wrap or wet cloth for 15-20 minutes more to rise up a little . In the mean time preheat the oven at 400 FH . Brush the buns with egg . 6. 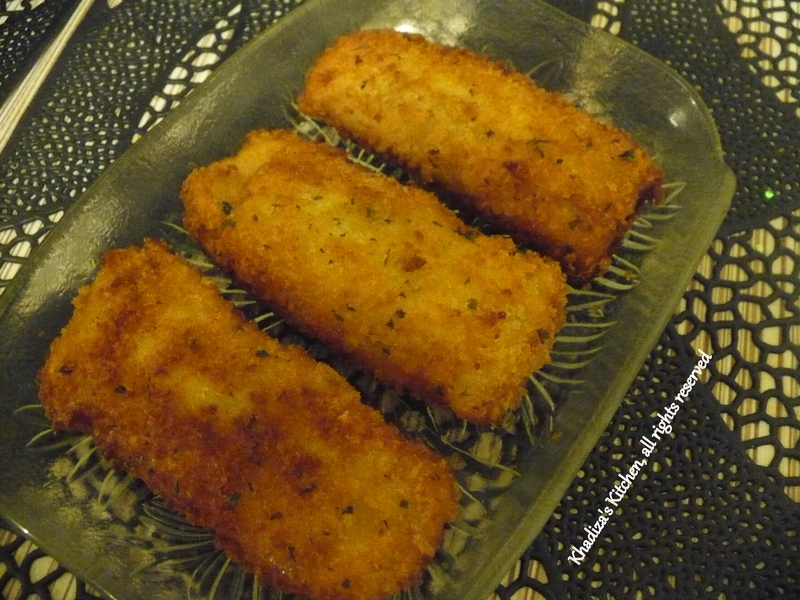 Now bake them at 400 FH ( 200 centigrade) in a preheated oven for 15-20 minutes . It took me 20 minutes. Plz don’t over bake them, you may end up with hard buns . After taking out from the oven , rub some butter immediately for the glossier and softer version . Pour the room temperature syrup over this hot bun and rub well . Remember the syrup should be of room temperature and the bun should be very hot . 1 . Please don’t over bake the buns as they get hard if over baked . It took me around 12 minutes to get done . 2. Be careful about the yeast you use and the temperature of water or milk you are pouring to make the dough . Try not to use too old yeasts . While using warm water or milk , it should be mild warm , not piping hot , as they can kill the yeast . If you use cold or room temperature, that also might not wake the yeast up . Always use luke warm water or milk. 3. Try not to put salt directly over yeast as salt can also kill the bacteria . 4. The syrup should be of room temperature when applied and the bun should be very hot . The syrup must be thick but not too thick or too thin . But many of my friends asked me, whether they can make the baked version of it for the healthier option ! So here you go my friends . This baked version is for all of you !! 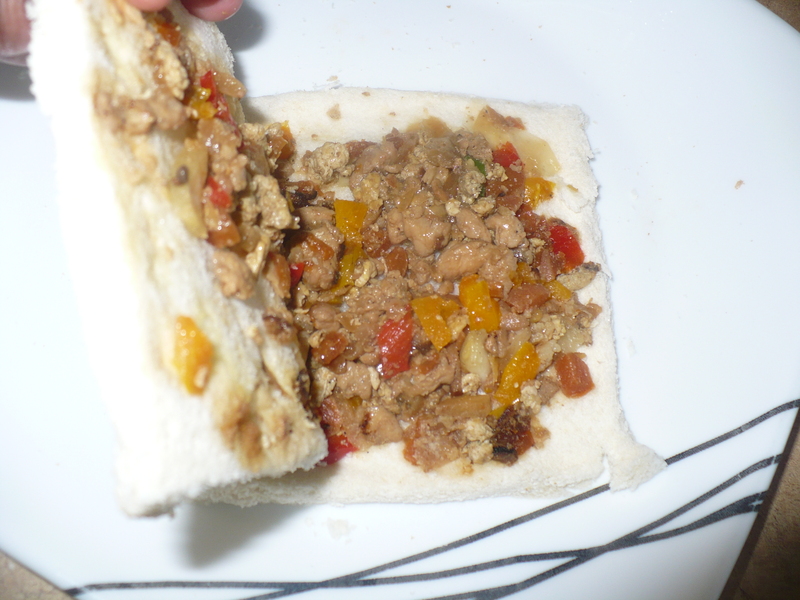 If you are using chicken mince , then boil the chicken mince with ginger paste and soy sauce in small quantity of water . Then fry the prepared mince with chopped onion , chilies and capsicum with oil . 1. Mix all the ingredients for bun except oil . Be careful while adding luke warm water or milk. If you use too hot water the yeast might get killed , and if you use room temperature or cold water, the yeast won’t wake up !!!!!! In both case the dough will not rise and everything will go in vain . So always use luke warm water in any recipe where you have yeast as an ingredient. 2. Knead well . The dough will be very sticky . Now add the oil and form the dough into a round ball . Now it’s easier to work with the dough. Knead very well . The more you knead, the softer bun you get . Put the dough into a closed lid box and place it in a warm place . It may take an hour or more to get the dough double in volume . If it becomes fluffy and double in volume , the dough is ready to make the bun. 3. Punch down all the air form the dough . Now Make balls from the dough . Flatten the ball and put some filling into it. Reshape the ball . Make all the buns like this . 4. Now brush with beaten egg and sprinkle some sesame seed , if you want . Cover them with a cling film , plastic wrap or wet cloth for 10 minutes to rise up a little . 5. Now bake them at 400 FH ( 200 centigrade) in a preheated oven for 10-15 minutes . Plz don’t over bake them, you may end up with hard buns . After taking out from the oven , rub some butter immediately for the glossier and softer version . Home made Naan!!!!!! Garlic Naan!!!!!!!! You may need a little more water or milk to make the dough. 1. Mix all the ingredients, except oil,chopped garlic and cilantro.. Knead very well ..now add the oil and mix well. Knead for a while .Make a pliable dough and rub the dough with little oil. Put it in a closed box and keep it in a warm place for 1 hour or until it doubles up! 2.Punch down all the air from the dough and make small balls from it. 3.On a dusted surface roll it over and dust the surface of the naan on chopped garlic and cilantro. You should roll it thin, because it will rise up when you will fry them on Tawa..
4.Heat the Tawa as hot as possible and place the naan there.cover the lid.. .. It may take 1/ 2 minutes to get one side done..Flip it over and cook the other side.The flame should be at medium high. 5. After removing from tawa rub the hot naan with butter that would make your naan softer and keep your naan softer for a longer time . 1. You can make naan in oven too at 400 Fahrenheit . 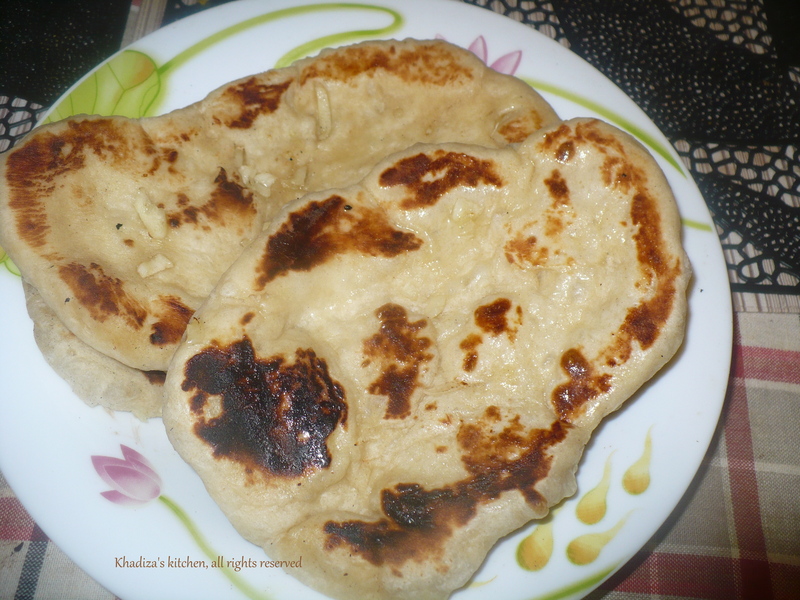 But to tell you honestly , naans made on stove r softer and tastier if you compare it with oven made naans and stove made naans stay softer for a longer period of time. 2. If you want to keep them softer , cover the warm naan in cheese cloth or foil and stack the naans together in it to keep the moisture for a longer period!!!!!!!!! 1. Boil the meat with the ingredients mentioned above . Dry out the water and take the cinnamon, cardamom , bay leaf out from the meat . 2. Heat oil and add the meat . Add chopped onion and green chilies . Now mix cornstarch in the milk and pour over the meat. Add the cottage cheese . Now your filling has a creamy , sticky , yummy texture . 🙂 Let it cool . 3. Cut the edges of the bread . Now wet your palms and flatten each slice of bread with your wet palm . 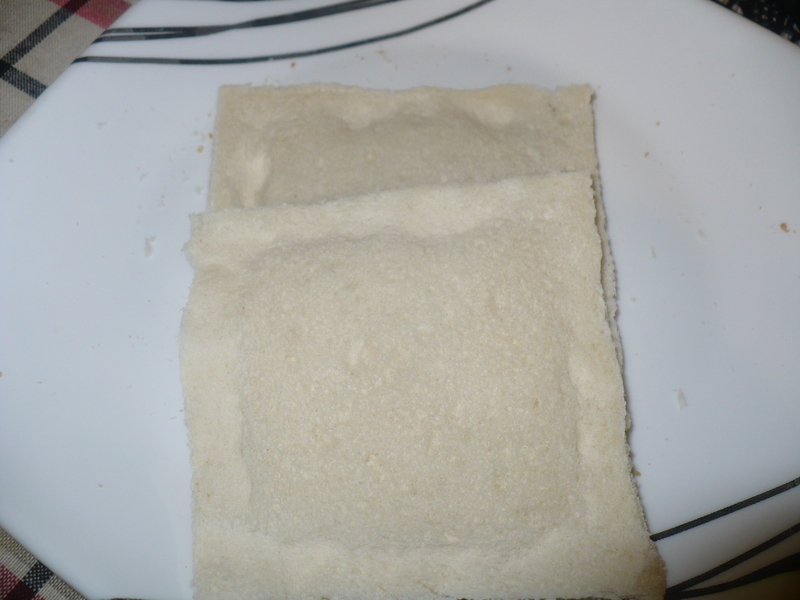 Spread some filling at one side of the bread and roll . Give the bread a shape of roll . You may wet your palms again to make the shape perfect . Make sure every ends are closed . use water to seal the ends . 4. 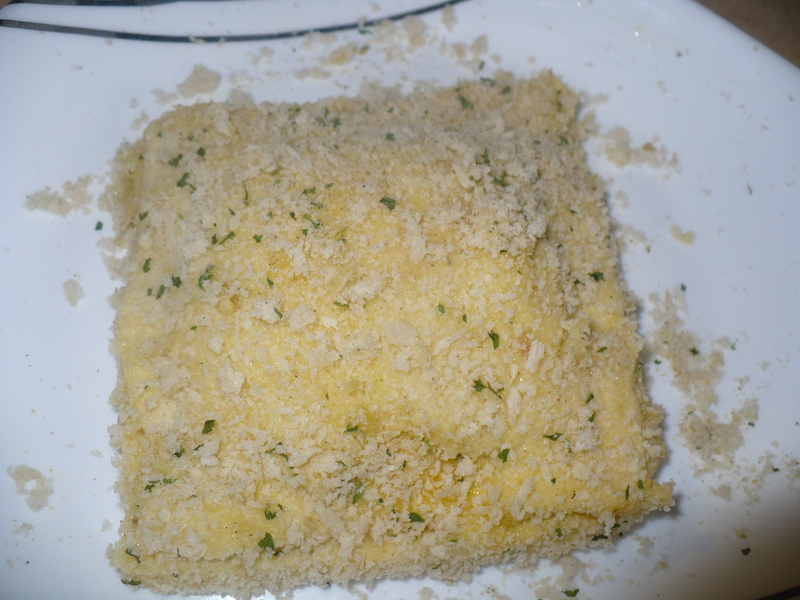 Dip the rolls into beaten egg and then in the bread crumbs . 5. Heat oil on medium heat and fry them until golden brown .